The Arizona morning is quiet and cool. We are in the car with the windows rolled down, sipping pre-dawn Skinny Vanilla Lattes. 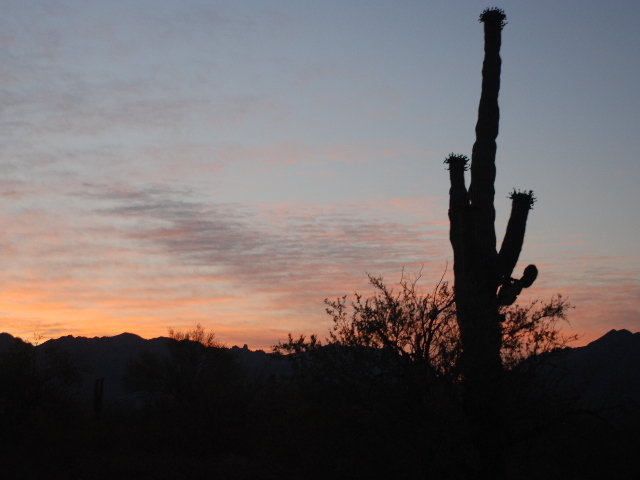 To experience dawn in the desert is our goal this morning. 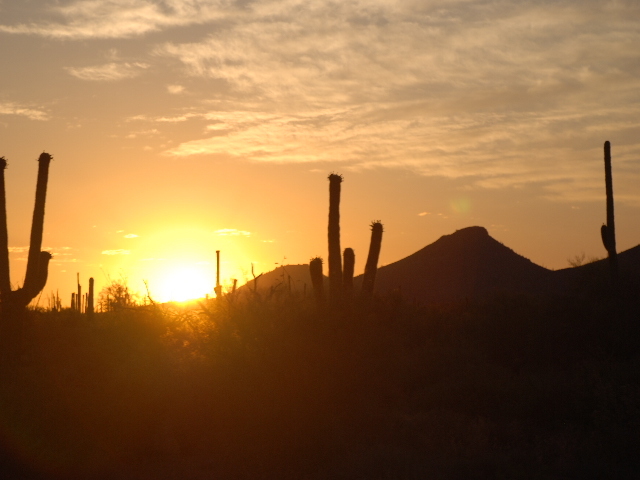 We sit in silence viewing the shadows of desert mountain ridges, towering cacti, dry shrubs and bushes as we drive. Suddenly the sun peeks over the edge of the earth with scarlet streaks and then with a yellow and white intense glowing. It stings our eyes. Still the dry air is cool. We park and soak in the breaking of a new day. In the quietness of the morning, I imagine myself wandering by foot upon the rugged terrain before me as maybe some of my forebearers did, conquering the land when the west was wild. I guess all I know of this kind of life is from books and movies. And I am so happy to be sitting on the edge of the glorious desert dawn in a comfortable car that can speed away to water and air conditioning. I try to imagine the kind of people that did tame this land, who built homes and towns and cities and finally made it progressive and modern. Now we are softer than they, but I believe all Americans still possess that great pioneering spirit that caused our forefathers to break out, explore, and conquer. My thoughts about America and our maverick great, great grandparents grow as bright and big as the rising sun above me. But the dream quickly dwindles as we drive home to crawl back in bed for some more shut eye.